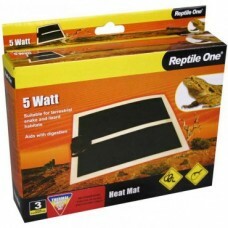 At Direct Pet Supplies Perth we have all the heat globes, heat mats, heat cords and heat rocks to regulate your reptile friends temperature. URS Oz Purple Heat Night Light 100w The small Oz Purple heat and light globes are nocturnal heat lamps that are suitable for viewing the reptiles natural habits at night as well as providing heat to bask under. These incandescent globes are ES. ..
URS Oz Purple Heat Night Light 150w The small Oz Purple heat and light globes are nocturnal heat lamps that are suitable for viewing the reptiles natural habits at night as well as providing heat to bask under. These incandescent globes are ES. ..
URS Oz Purple Heat Night Light 40w The small Oz Purple heat and light globes are nocturnal heat lamps that are suitable for viewing the reptiles natural habits at night as well as providing heat to bask under. These incandescent globes are ES. ..
URS Oz Purple Heat Night Light 60w The small Oz Purple heat and light globes are nocturnal heat lamps that are suitable for viewing the reptiles natural habits at night as well as providing heat to bask under. These incandescent globes are ES. ..
URS Oz Purple Heat Night Light 75w***SPECIAL ORDER - MINIMUM 2 WEEKS DELIVERY*** The small Oz Purple heat and light globes are nocturnal heat lamps that are suitable for viewing the reptiles natural habits at night as well as providing heat to bask under. These incandescent globes are ES. ..
URS Oz White Ceramic Heat Globe 100w Many reptiles require a heated environment but normal incandescents that are used as a heat source emit white light. This can interfere with the reptiles biorhythmic cycle and cause sickness and disease. An alternative to using a light emitting heat source is to use the Oz White ceramic heater. This emits heat without the light. We recommend the use of a thermostat with this heat source. ..
URS Oz White Ceramic Heat Globe 150w Many reptiles require a heated environment but normal incandescents that are used as a heat source emit white light. 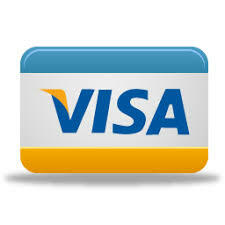 This can interfere with the reptiles biorhythmic cycle and cause sickness and disease. An alternative to using a light emitting heat source is to use the Oz White ceramic heater. This emits heat without the light. We recommend the use of a thermostat with this heat source. ..
URS Oz White Ceramic Heat Globe 250w Many reptiles require a heated environment but normal incandescents that are used as a heat source emit white light. This can interfere with the reptiles biorhythmic cycle and cause sickness and disease. An alternative to using a light emitting heat source is to use the Oz White ceramic heater. This emits heat without the light. We recommend the use of a thermostat with this heat source. ..
URS Oz White Ceramic Heat Globe 60w Many reptiles require a heated environment but normal incandescents that are used as a heat source emit white light. This can interfere with the reptiles biorhythmic cycle and cause sickness and disease. An alternative to using a light emitting heat source is to use the Oz White ceramic heater. This emits heat without the light. We recommend the use of a thermostat with this heat source. ..